AS SHOWN Follow me table lamp on. Stock arriving soon; order now for delivery in 2 - 3 weeks. Compact and small, the Follow Me table lamp is the perfect personal accessory. 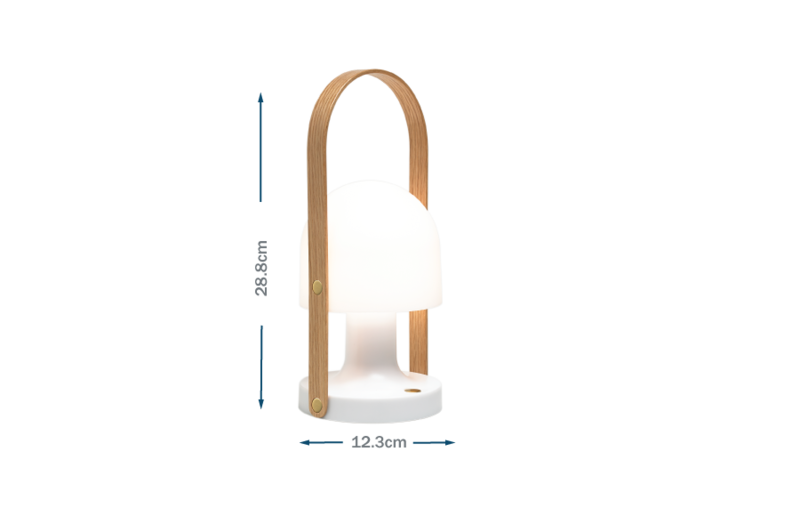 This portable and rechargeable lamp is ideal for both indoors and outdoors use and can be easily carried around with the solid oak handle and charged via a USB port. 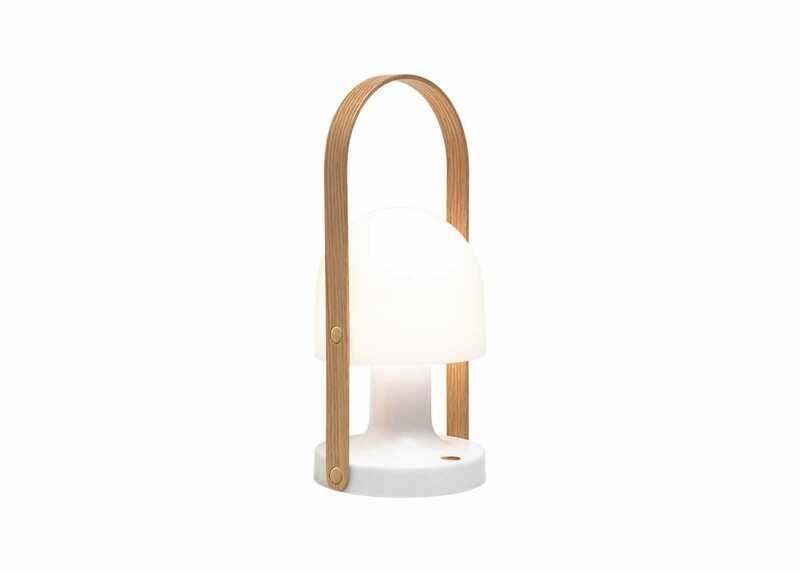 This petite lamp features a clean and fresh look with a white polycarbonate swinging lampshade. 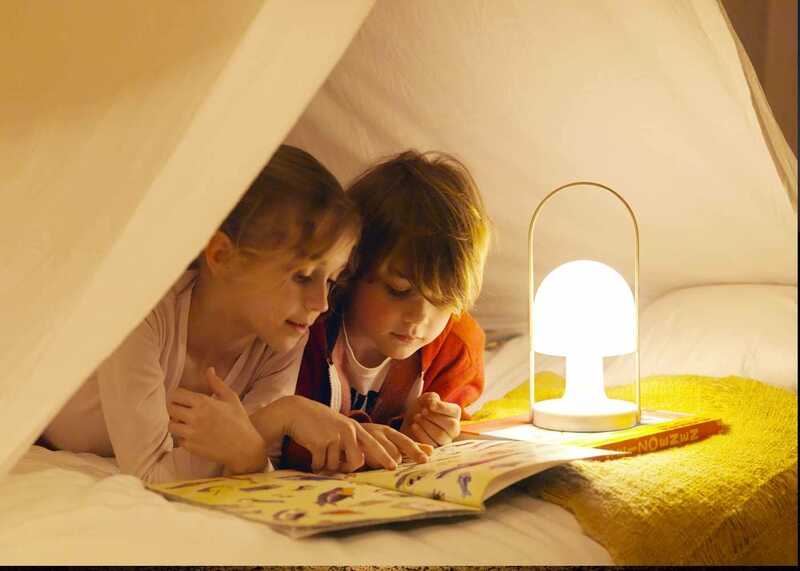 The built in LED technology replaces a traditional bulb and the dimmer will allow you to create the perfect atmosphere. 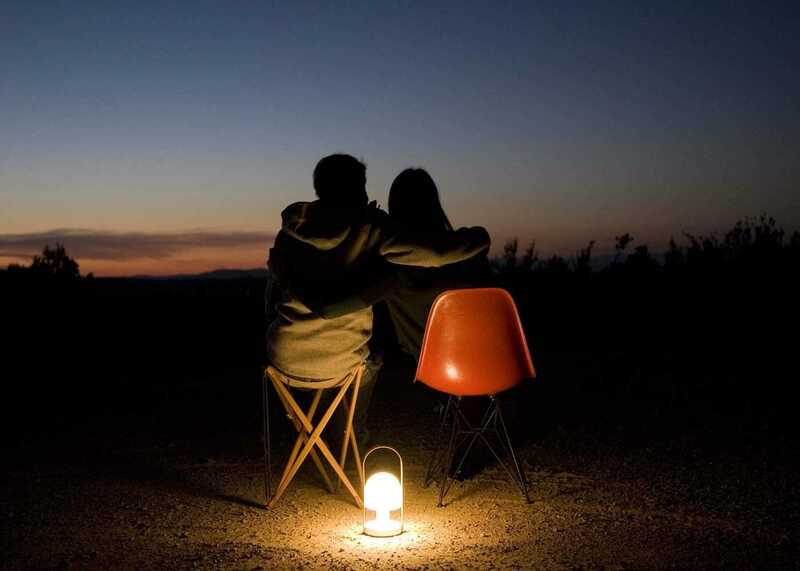 The warm light omitted from the Follow Me creates the perfect mood light without being too bright or stark. 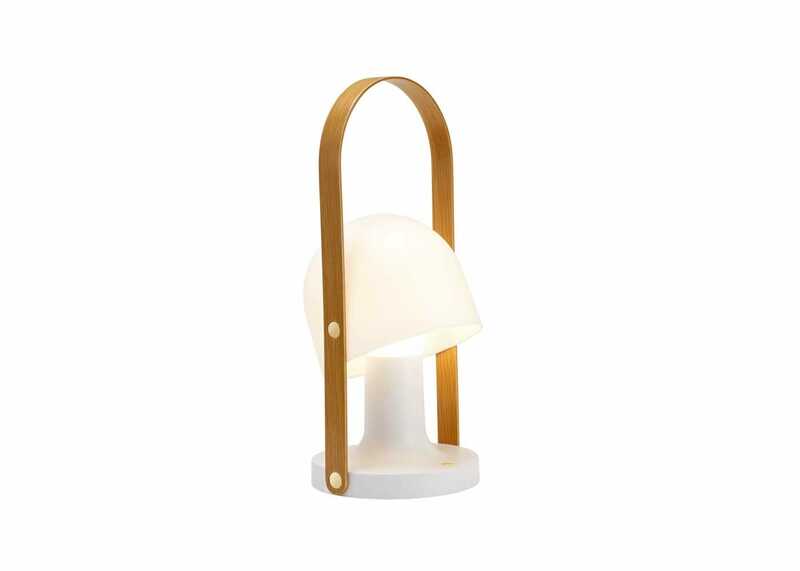 Great as a table lamp, desk lamp, or even on the floor lamp. 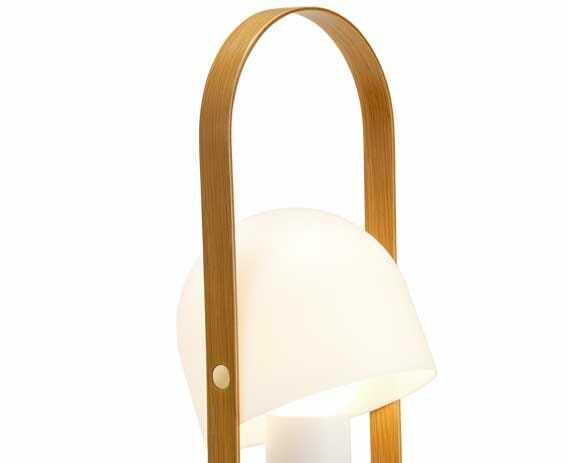 The Follow Me lamp can be easily moved using the oak handle.